Shakespeare observed that the "past is prologue." Is this depressing or reassuring? Hegel gloomily commented, "We learn from history that we do not learn from history. … [P]eople and governments have never learned anything from history, or acted on principles deduced from it." The flip side comes from William Faulkner, who observed, "The past is never dead. It's not even past." Are we condemned to an endless cycles of glory and stupidity, or simply part of the ebb and flow of the human condition? I'm not wise enough to answer definitively, but I can say, in this presidential election year, that every president has had an analog. In the eleven weeks leading up to the election, I'll profile the Shakespearean prologues by working backward to pair presidents. I will use scholars' ratings of presidents, add my proverbial two-cents' worth, and (hopefully) both enlighten and provide intellectual fodder upon which to chew. 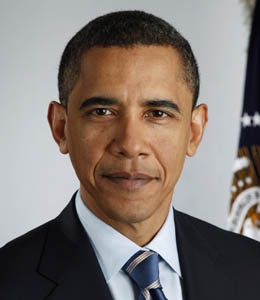 When he was elected, many hoped that Barack Obama would become the black Franklin Roosevelt. This was bad history; no president has ever had a working majority as large as that of FDR. It will probably anger Obama supporters, but the president he most resembles is Jimmy Carter. Obama and Carter are deliberate, low-key, and highly cerebral. Both are of outstanding character, moral, and scandal-free. Carter is undoubtedly our most respected ex-president and I imagine that Obama's post-presidential years will be similarly devoted to selfless public service. Carter and Obama each took over after long Republican presidencies and represented great hope for liberals alienated by what they viewed as harmful GOP social policies–those of Reagan and George H. Bush in Carter's case, and eight years of George W. Bush in Obama's case. Both disappointed as they had limited success in moving Congress on issues such as energy conservation, gun control, reindustrialization, or environmental protection. Neither was a forceful leader. Both inherited big messes in the form of ruined economies and declining foreign relations. Jimmy Carter failed to improve the U.S. economy, did a superb job in the realm of foreign relations. Although he is often vilified for the Iranian hostage crisis, it was Carter–not Reagan, as many believe–who negotiated hostage releases. (Nor was Reagan any stronger on Iran; he simply talked tougher.) In most other aspects, Carter's foreign policy enhanced American prestige and power. He negotiated the Camp David Accord between Israel and Egypt, the first time a Muslim nation recognized Israeli sovereignty. Conservatives beat him up over his policy of linking U.S. aid to human rights, but most of Latin America credits Carter for assisting their transformations from juntas to democracy. The same Latin Americans hailed the decision to give Panama control over the Panama Canal, another decision that infuriated conservatives but looks wise in retrospect. Finally, Carter's decision to boycott the 1980 Moscow Olympics over the Soviet Union's invasion of Afghanistan is now viewed as one of the nails in the USSR's bankruptcy coffin. Obama will also get higher marks from historians on the foreign policy level. He certainly patched relations abroad left torn asunder by his blundering predecessor. Obama removed U.S. troops from Iraq and had the courage to say this war should have never been fought in the first place; he has drawn down troop strength in Afghanistan, a war that's probably unwinnable. He earns high marks for shutting down war hawks within the Democratic Party (Hillary Clinton, Susan Rice, John Kerry) that urged US intervention across the globe with hazy plans of what could be accomplished or how a mission would end. Remember Osama bin Laden? Obama took him out, not the GOP howlers. Gaddafi fell in Libya after carefully orchestrated US pressure and Obama wisely resisted temptations to overreact to the Benghazi tragedy. If he gambled correctly on engaging Iran rather than further isolating it, history will be very kind to him. Normalizing relations with Cuba was simply the correct thing to do. Foreign relations improved immeasurably under Obama. There is no equivalent of the Affordable Care Act on Carter's resume. The Dow Jones foundered under Carter and set records under Obama, who has been a much better steward of the economy. (In truth, presidents have little influence over the economy, but each takes the blame or the credit.) It's too soon to tell whether T.A.R.P. or the bank bailouts were a good idea. Obama is more comfortable in public than Carter ever was and wins on all those intangible style points. Lest we dismiss those as trivial, remember that we have no ceremonial leader such as a queen; the POTUS is a symbol of the nation as well as its chief executive. Carter wore his evangelical Christianity on his sleeve; Obama practices church/state separation. Obama is also a strong advocate of science. Carter began the military buildup for which Reagan took credit; Obama has been less wiling to approve big-ticket military items and favors spending money on troops rather than hardware. Carter is currently ranked 27th and Obama 17th. 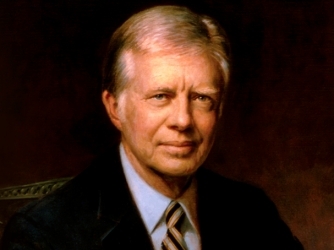 When he left office, Carter's was seen as a "failed" presidency, but he has risen steadily. Obama, on the other hand, has slipped from 12th to 17th. I suspect he will slip further when passions cool over the enormous symbolism of having been the first African American POTUS. I would rank both in the 20s—at the bottom of the upper tier. There are few great domestic achievements associated with either and (alas!) foreign policy dexterity seldom attracts great acclaim. It’s just about time for more football. Color me disinterested. In my view, NFL commissioner Roger Goodell is the greatest threat to public health since opioids. Think I’m kidding? Check out Goodell’s public record on CTE (Chronic Traumatic Encephalopathy). It is a textbook case of rapacious capitalism—denial masquerading willingness to grind up athletes to protect a multi-billion dollar investment. There’s little that differentiates NFL owners from Gilded Age coal barons. If you’re a parent and you let you kids play football, you might as well accelerate time, take a baseball bat, and repeatedly smack your kids over their heads, because that’s what a few years worth of football will do their brains.Oh yeah, it also makes them grow up to be jerks. If it were only the refusal to take CTE seriously…. Let’s call the NFL the National Fraud League. With the possible exception of FIFA and the IOOC, there is no sports federation on the planet that extorts like the NFL. These guys make Mafia shakedown artists seem like public servants by comparison. At a time in which cities are struggling to keep schools open, build homeless shelters, fix bridges, fill potholes, and provide basic social services, the NFL seeks to bilk them for the one-time frivolous experience of hosting a Super Bowl. The rock bottom fee just to apply is a new stadium. This would be risible, were it not for the sad truth that cities are biting like hungry trout approaching a fat worm on a baited hook. Atlanta has the perfectly functional Georgia Dome, but is about to shell out $1.4 billion to replace it. The Dome was built in 1992 and a 25-year-old facility won’t satisfy King Roger. For the record, my home was built in 1993, is still in great shape, and has nearly tripled in value rather than depreciating by $56 million per year. Maybe Atlanta needs to hire better builders. NFL Owners: America's Only Socialists! Atlanta’s new stadium will be named Mercedes Benz Stadium. Like the car, the new venue will cater more to the 1% than to the 99%, who get pick up the bulk of the tab. The minions of the rich known as the Chamber of Commerce shamelessly support the project. The C of C claims a Super Bowl generates $400 million in income. Leaving aside the basic stupidity of gambling a billion more than one can win, there are numerous studies that show that the Super Bowl (and the NFL in general) generates far less than boosters claim. There’s also the matter that the stadium cost is the tip of the pigskin; infrastructure upgrades, tax abatements, and construction delays inflate costs like Tom Brady’s worst nightmare. The NFL excels at graft. According to the Associated Press, six of the past nine Super Bowls have been awarded to cities with spanking new facilities. In all cases, local taxpayers subsidized most of the associated costs and, almost always without the consent of voters. The AP also reports there is seldom solid math behind the claims of NFL boosters. Why, it’s as if they just made up numbers—which precisely what they did. The NFL won’t tell you about the studies that show zero percent difference in tourist dollars between cities that host a Super Bowl and those that don’t. As in the case of the Olympics, normal tourism is disrupted by the event—often for much longer than just the day of the Super Bowl, and there is no long-term “bounce” from being a host. Why do cities continue to fall for this? Beats me, but if you think Las Vegas is the city of gamblers, it’s a piker compared to Los Angeles, whose leaders want to spin the roulette wheel on both the NFL and the Olympics. The Rams and Raiders left LA in 1994 and, you probably noticed that tourism ceased, the city was vacated, and most Americans came to believe that Los Angeles was a suburb of Terre Haute. Oh wait, that didn’t happen. What does LA think it’s going to gain from the Rams returning in 2016? It had better be plenty, because the current estimate for a facility to open in 2019 is $2.6 billion. Good grief! Remember: As Atlanta teaches us, this baby will be an antique in 25 years—at an annual loss in value of $100 million. In case you care, the average homeless shelter costs about $17,500 per person per year. Do we want to contemplate what the Olympics will cost if LA wins its bid for 2024? But at least Los Angeles will get a Super Bowl, right? Not necessarily! A new park only puts one in the running for consideration. Let’s return to CTE, shall we? 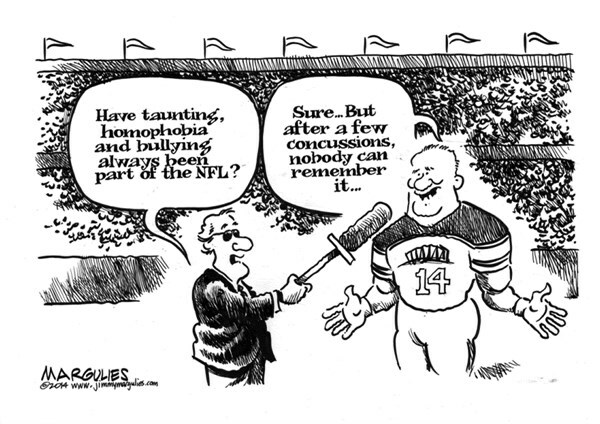 Today’s NFL is a shell game run by billionaires to dupe the masses. Several economic prognosticators claim that though the NFL is presently at the height of its popularity, it has maxed out its potential and is a poor long-term investment. Some have ventured to compare football to boxing circa 1968—about to take a cross to the chin and go splat on the mat. It won’t disappear, but football might become another niche sport. Unless some dramatic (read: miracle) leap in technology occurs, CTE will play a big part in that. Would you really take a bat to your kids’ skulls? If parents simply take away the pigskin and toss their kids a soccer ball, it will rob the NFL of what it needs most: a new generation of sanguinary warriors. If you think I overstate, visit your local playground and count the number of kids kicking the round ball compared to those tossing the prolate spheroid. If production value collpases, it won’t be easy for elected officials to write welfare checks for billionaires, and kudzu will grow in the cracks of the rotting edifices of greed.